Commerce Avenue, 4th Floor, Paud Road, Kothrud. Pune – 411038, Maharastra, India. 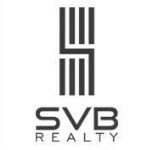 SVB group is on journey of providing you a higher quality of life through innovative real estate products. We distinctively differentiate ourselves through our unvarying focus on 3 core values – Innovation, Quality and Transparency. We have consistently revived on design, functionality, and infrastructure thereby constructing luxury with premium residential solution.